We are exploring the disease mechanisms that cause essential hypertension using experimental models that appear to be predictive of the hypertensive state in humans. We seek to clarify whether hypertension is an autoimmune disease and whether we can therapeutically target the immune system to treat patients that do not respond to conventional therapies. An important treatment pathway under extensive investigation for providing better blood pressure control is the manipulation of the renin-angiotensin system. Our research is directed towards finding better treatments by identifying and then targeting the complex mechanisms of primary and secondary brain injury, systemic consequences of stroke, as well as promotion of healing and functional recovery through cell-based therapies. 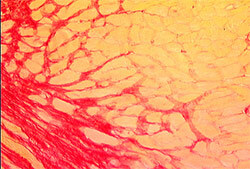 Our focus is to identify how to detect and stabilise rupture-prone plaques to prevent heart attack and stroke events. 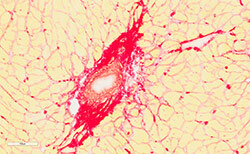 This involves the discovery of new biomarkers and development of imaging techniques to detect collagen deposition and rupture prone plaques. For the prevention and treatment of organ fibrosis we are exploring whether the promotion of an anti-inflammatory M2 macrophage phenotype stabilises atherosclerotic plaques and whether novel NO-based drugs confer protection in the setting of atherosclerosis. 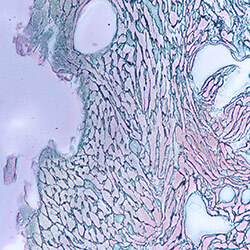 We are investigating the key role of renal hypoxia in the pathogenesis of acute and chronic kidney disease, and how this can lead to new treatments. We are also developing methods of monitoring kidney health in critically ill patients and investigating how we can prevent acute kidney injury in critically ill patients in a hospital setting.